Sprint’s new plan offering five lines of unlimited voice, texts and data for $90 a month is a good deal for a year – after that the price soars. Sprint, which is trying hard to catch up with its larger rivals, has an offer for families looking for unlimited data that’s seems too good to be true. And what you know, it is too good to be true. The company’s offer for up to five lines of unlimited voice, texts and data for $90 (plus the usual taxes and fees) is good for only one year. By “good for one year” I don’t mean that you have a year to sign up. I mean that the big discount Sprint is offering this month expires at the end of March, 2018, and pricing reverts to the much more expensive standard rate, an increase that's more than double. I’m not saying Sprint doesn’t disclose this. It does. But you’ve got to look in the footnotes to understand the plan has some serious gotchas. Here’s how Sprint describes the offer. That, in fact, is a good deal, and significantly cheaper than offers for that many lines from the three other major carriers. But after March of 2018, that family of five will be paying $190 a month for the same service. When the promotional offer expires, the cost for a single line goes up $10 to $60 a month; service for two lines will also go up $10 to $100 a month; and each additional line, up to three, will cost $30 a month. To be fair, I should mention a point that a Sprint service representative who walked me through the plans made. “Over the course of the year, your family would save $1,000,” he said. Actually, $1,080 over 12 months, and he’s right: That’s a real savings. 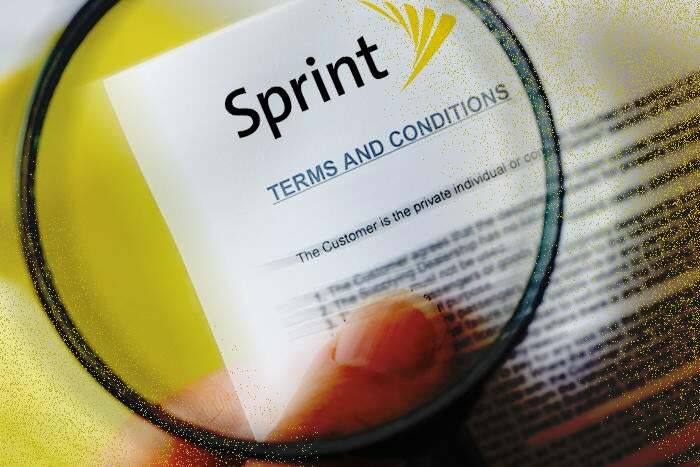 You could, of course, sign up for a year and then jump to another carrier, but if you’ve purchased a phone from Sprint on an installment plan, as most consumers do these days, you’d have to pay off the remaining price of the phone. There are a few other caveats to consider. Unless you sign up for autopay and e-billing, each line on the discount plan will cost an additional $5 a month. Streaming video is capped at 480 pixels, a resolution that’s fine on a phone, but not really adequate if you stream from the phone to a television. If you want HD quality, you’ll pay an extra $20 a month per line. There’s no speed cap on browsing or downloads; music streams at 550 Kpbs, while games are played at 2 Mbps. Verizon and T-Mobile also launched new unlimited data plans recently. They’re not perfect either, but worth checking out.